3:00 – What’s the best practices in lead scoring? Ken shares some important insights in this segment. 6:20 – It’s scary that Google has so much power. So many people rely on their business model. 9:10 – Is Facebook advertising worth it? Ken says it’s worth it for the mobile space. It’s also better than Google AdWords right now. 12:50 – However, Ken feels that you shouldn’t abandon Google for Facebook. 16:45 – Ken talks about the Netflix model and how he thinks we’re going to see more of that business model else where. It’s my pleasure to welcome Ken Wisnefski to the show. 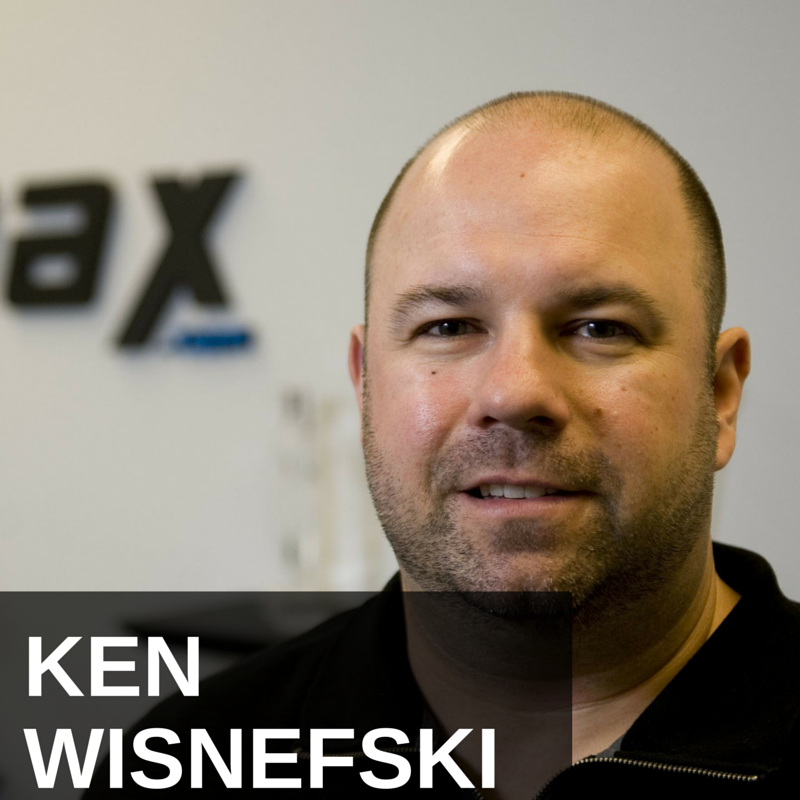 He is the founder and CEO of WebiMax and he is an expert in lead generation and some other areas of web marketing. Ken, welcome, how are you? I’m doing well today, thank you very much. Good, give our listeners a sense of geography and tell us where you are located? Sure, I’m located right now on the waterfront of Camden, New Jersy, which looks directly across downtown Philadelphia. Excellent. Good stuff. What are some of the best practices in terms of lead scoring. I know that’s something you talk about, scoring leads, so I wanna get into some other areas, but I just thought I’d throw you that one as a start off. Sure, I think one of the big things we always look as is lead scoring, at least initially, is how much data you have around that prospect. The more data and the more understanding you have whatever type of project or opportunity that they have, I think always increases the value of the actual lead and then obviously other aspect that kind of go into that or the responsiveness of that actual prospect and beyond that and kind of timeline from when that prospect looking to make a decision. So, some of those areas are the things we always look at very strongly when you’re doing a lead scoring analysis is kind of what’s really viable and what’s your return on revenue opportunity. Okay, good. Do you use the good old fashion ABC scoring? In some cases we do depending upon which specific client we’re looking at. What we really started going more to is a scale of 1 to 100, similar to basically what you have in school where you can turn it into an A, B, or C, but ultimately we have different destinations. It can really get more specific around to where certain opportunities are at. So, we’ve been more focused around scenarios that kind of go along that kind of traditional school grading system, but more on a scale of 1 to 100. Okay, so 1 to 100 scoring. In terms of the best strategies when it comes to generating leads, what are your thoughts on that? Uh, I think nowadays, obviously the search engines have become such a prominent part of development of lead opportunity because, in my mind, when you look at search engines, it’s really people that are actually going into the process and being proactive to search something out. So, when we’re looking at leads and the best overall type of lead scenarios that are coming or derived from the search engines typically tend to be some of the highest closing scenarios from that perspective. So, just in in overall best practices, we’ve begun to notice a lot more push towards web, whether it’s through someone doing television advertising and getting them into that position, but so much is really derived through the search engines at this point where we feel the highest quality of leads are really coming from. Yeah, Google is about to make a big change, aren’t they? Another big change at Google? There’s always different changes that are kind of in the mix and that are in the process there. You know, the algorithm changes in that Google is making nowadays are beginning to really impact everything more so than just let’s just call the cottage industry of search engine optimization. You’re seeing a lot of these algorithm changes really having an impact on big businesses and ultimately on Wall Street because the algorithm ultimately ruin what people viewed as prophetical value in having good rankings on the natural search engine, suddenly as those begin to go away, it impacts companies bottom line. It is really scary to me that one company, Google in this example, has that much power. I mean, you know, just philosophically, I know this is a bit of a curve ball, but don’t you think the Federal Trade Commission should be asking that Google be split up yet? *Laughter*. It is unbelievable the kind of power they have. There’s no question about it. Their business model is extremely important to so many other businesses at this point, so I do think at some point, I think it’s an interesting scenario because typically you’d see companies gain this prominence and sort of lose it just because someone comes in and ultimately take over their market shares, but I think with Google the reality of it is we haven’t really seen anybody come in that’s really been able impede on or really approach the market share, so I think over time it’s something definitely that becomes more pervasive and probably something that would need to be looked at a little bit further. Yeah, it’s just the barrier to entry is just so high now that I don’t see anybody that can come along and compete in any real way. I mean, look at Bing, you know, talk about resources, right? Microsoft? But, they can’t even do it, so you know, at least not in a big enough way. But, speaking of changes, several months ago there was so much outrage at Facebook and Facebook certainly is guilty of a lot of issues. It was over this profiling and manipulating people’s feed, you know, to study responses and so forth, is that outrage deserved or is it undeserved? I think the outrage is relatively deserved. I think if you look at basically Facebook’s whole platform has really been to gain a lot of credibility and has really become just as much ingrained and I think society as Google has to have them ultimately manipulate someway people’s responses and really review that, I think, kind of goes a long way in making people feel like guinea pigs for lack of a better term and I think ultimately kind of upset people and I think rightful so. But, aren’t we all guinea pigs of someone’s scheme? You know, their marketing scheme? I mean, advertisers and marketers have been doing this for, who knows how long, forever, right? To a certain extend. I think in this particular case more and more is being drawn to it. I think it’s just the overall day to day utilization of what people are doing with Facebook is really endeared them to Facebook and I think many cases the outrage was maybe because they felt someway betrayed. Yeah, do you think Facebook advertising is still the bargain people been saying it was? You know, I would tell you that up to a year ago I was not an advocate for advertising on Facebook. I really thought it was not something that was going to viable. We hadn’t really had many tangible scenarios or case studies that we could point to that we saw real value from that. What changed over the last year was really the growth in the mobile space and the ability to really be able to leverage that market. I still do think it’s a valuable opportunity at this point to look into and certainly where we are seeing more ad budgets being able to pull some money away maybe from so of the work they’re doing on Google or other forms of advertising and putting it into Facebook, so I would tell you that right now just because of the rights you’d be able to garner through Facebook, it is a good option and one that’s more affordable because it just hasn’t been as much movement into that space yet. And, better deal than Google AdWords? Yeah, Google’s got several years leading up to it and overtime the bids for a lot of the terms have really gotten outrageous, so when you’re kind of looking back, you’re looking at kind of what Google was several years ago and the fact that you could leverage good opportunities on certain keywords in a much lower price. The platform has just gotten more and more competitive and obviously it’s made more and more successful and obviously much more revenue. I think Facebook has that platform and it’s kind of still of it’s infancy and I think, obviously, right now, provides a great opportunity for marketers. Do you have any opinions about Facebook’s controlling nature in terms of their 20% rule for text? I mean, I don’t really understand why they make such a big deal out of that. They keep disapproving our ads, you know, saying they’re over 20% in terms of text content. You know, there’s always been some conjecture of the type of way they’re handling some of the ads. I mean, even going so far as to eliminate ads from their mix that don’t have a response for mobile type of website, so they’re not even able to advertise on their network and I understand that more than I understand aspects around their percentage ratios around text. I think it’s just basically they’re trying to follow a certain format. They do want a lot of control and they ultimately it just seems to be kind of the nature of the beast. How is it for an entrepreneur to enter the social media space nowadays? I mean, we talked a little bit about where they should be, but what’s the overall climate like in comparison to its history? I think in general just looking at the social media space. I think nowadays there’s been several probably somewhat far fetched concepts. One, from people looking to launch social media type platforms and it’s somewhat, I don’t want to say, get rich quick scheme, but you know, everybody is putting so much focus on them if you can get critical mass to them. It seems that your evaluation could be in the billions alas Snapchat. So, people I think perceive that aspect of things as kind of being a gold rush and on the flip side, I think a lot of times advertisers and marketers feel that they haven’t been able to leverage social media and feel that it’s the “wahla” for their business to really go over the top if they can really understand and leverage social media and the reality of it is that it doesn’t really work for every type of business, because it just doesn’t really endear itself with certain scenarios. Again, while I think it’s valuable, Google still provides most value for anybody when you’re really looking at pure advertising and pure ROI on investment. So, better than Facebook, huh? I think right now I would divert money towards Facebook away from Google to a certain degree, but I certainly wouldn’t abandon Google for Facebook and certainly I would place more of my marketing budget with Google than with Facebook at this time. Yeah, okay, I’m glad you made that distinction. You know, it’s interesting you brought up Snapchat, because I was really, really critical of them turning down that seemingly incredible offer, but I don’t know! I was reading something just the other day and maybe they were right. I just got to get your thoughts on that. What was the offer? 3 billion dollars and zero revenue and they wanted 4 billion, I think that was the deal? *Laughter*. I mean, who would have thought. That’s pretty much the deal. Yeah, I mean, I’ll be honest with you. My impression is they will regret not taking that offer because there’s already started to be somewhat of the concern around Snapchat just with the nature of, you know, kind of people believing those photos and messages were going to go away after they had kind of exploded there after 8 seconds and the reality of it that’s not the case and we just saw the big leak on Snapchat with a lot of those photos getting out there, so all these things don’t, in my eyes, play to their favor. It’s not as an ingrain as a platform as say Facebook is. It’s really focused to the younger demographic and it always seems that they seem to migrate else quickly when something is kind of going backwards. So, Snapchat, in my eyes, I think they should have taken the money at the time, because I think now a lot of the things that have come up and popped up can only hurt them, not help further their evaluation. You know, after they turned that offer down, I remember reading an article saying that it might be the future of the whole internet. They have the law about the right to be forgotten and, you know, people obviously want this kind of thing. They don’t want it to be forever, you know, anything they post online, but does Snapchat really control that, that concept anyway? Not really. You know, it seems that the notion was that everything kind of goes away, but you know, people are obviously finding ways to be able to get around that and certainly things still live somewhere for a period of time, so I think ultimately some of the reasons that it really became popular people are finding out aren’t truly the way it is. There’s always new platform popping up that it seems the younger demographics kind of hoping on to and I almost think if you look at the younger demographic in the way social media is really so heavy involved in their lives. I think it’s almost kind of the badge of honor to be part of whatever new platform they’re migrating to just like the younger age group, you know, Facebook isn’t really cool to them anymore. They might have a Facebook page because it’s kind of the bet place to kind of put all of their information, they’re not using it to the degree, the messaging, and what they’re doing isn’t really taking place on Facebook. It’s more of their web page, then it is what they’re using to communicate. Very interesting. It’s just not as cool as it used to be. I guess, when their parents and grandparents are on there, the cool factor goes away a little bit. *Laughter*. It goes pretty quick when your parents on there and they can see what you’re putting on your Facebook page so you better find a way to message with people differently pretty quickly. *Laughter*. That’s for sure. Do you have any thoughts about, you know, like the whole Netflix model? Yeah, I’ve been really impressed with what Netflix has done. As a matter of fact, a year and a half ago I think everyone was talking about how Netflix said basically let Redbox enter into their space and just knock them out of the contention somewhat of a really old school, somewhat traditional business model of just putting these Redboxes in front of supermarkets and drugstores and pretty much taken the market share away from Netflix and I think they’ve really done is looking at the streaming content and some of the really cool things that they’ve got coming up in like say an Adam Sandler signing on to have four movies to be able to be promoted exclusively through Netflix. I’ve really been impressed with what they’re doing and the model is I think we’re going to start to see a lot more of. Yes, so, but, you know, to me, it’s an issue of the and I’ve been a Netflix a subscriber since almost the beginning, I mean, a long time now. To me, a lot of it is just about the movie selection, I mean I just can’t find anything to watch hardly on there anymore. It’s all like second tier, if you like documentaries which I like documentaries, but you know, I’d like to watch so movies too. There’s just not enough. It seems like the selection seems to be so good and it’s just not anymore. Yeah, well, you know, the platform itself was losing steam, so the distributors were taking their assets and placing them in other places now. They start to be able to develop a stronger asset base, obviously a lot of those scenarios will kind of come back to them, so again, you know, Netflix has been one of the few companies that I feel though that’s really kind of heading towards disaster and really just going to be overrun and shutdown if you will and they’ve really done a decent job at trying to re-create themselves and at least trying to make themselves viable again to the fact that they might have opportunity to be able to gain people through one measure and then ultimately keep them as they can get more of the better, more premium movies back on to Netflix. At one point that’s where, you know, that was the place to be and you get to see all your movies that were coming out of the theaters and were kind of the on-demand home-type scenarios. Netflix was pretty much the predominant player there for a long time. It’s like now someone needs to just make an aggregator platform, Ken, because, you know, it takes so much to figure what to want anymore. I’ve got Hulu, I’ve got Amazon Prime, I’ve got Netflix, and god forbid you might actually turn on cable TV. I mean, it’s just a never ending search, right? *Laughter*. It’s true when you look at all that, you’ve got a lot of different scenarios and ways you can kind of do it and I think people kind of go to different scenarios for different reasons. So. When you talk about that, yeah, I’m sure at some point there will be some type of platform that aggregates kind of everything and allows you to kind of have it in one spot. I mean, if you think about TV and cable in general, it’s basically what it was at one point, right. You could watch all the different channels from one location. Now, you’re just going to have all different platforms, if you will, migrated at one point probably something more systematic and our selection now is, as consumers, certainly will expand. We’ll have a lot more content. We can see from programing that’s coming from a Netflix or even an Amazon and different places like that are going to have their own programing, so we live in a very different world than we used to. We sure do, We sure do. Well, good stuff. Ken, give out your website. WebiMax.com and just any final thoughts on lead generation, entrepreneurial opportunities, where things are going, what’s the next big thing, whatever you want, I’ll leave it open for ya. Sure, I feel very strongly that we’ve ventured into somewhat of a renaissance era into the digital marketing world, if you will, and that includes social media. Obviously, a lot of different IPOs and evaluation that we talked about earlier, all really kind of come back around into what’s going on and either social media or digital marketing in general. So, I feel there’s a lot of intrigue and interest and ultimately this vertical lead generation being an aspect to that and ultimately we’re seeing a lot of companies that have had followed the more traditional marketing paths, ultimately really start to abandon TV advertising, billboard advertising, magazine advertising, and really investing in digital marketing. I think that now is a really intriguing and good time to be really invested in this type of vertical and, obviously, I think we’ll continue to see a lot more interest from large companies in this area as well. Good stuff. 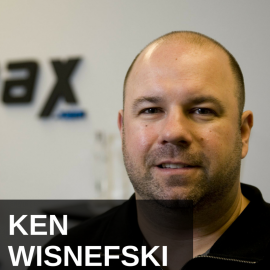 Well thank you for the insights Ken and the website is WebiMax.com. We appreciate you joining us today. I appreciate the time and really appreciate talking to you, Jason.